Social media makes it easy for me to feel like I’m staying in touch with people when in reality I haven’t talked to them or spent any time with them in weeks or months or even years. For long distance friends, that makes some sense, since I can’t jet around the country, much less the world, visiting all the great folks I know. For friends who are physically closer, it’s just my laziness and busy-ness and sensitive person-ness that form the stumbling blocks. But really, those are excuses. I can get over or past or around them if I really want to, and when my friend Denise messaged me to ask if I was planning to go to the Ann Arbor guild’s quilt show this past weekend, I wanted to. Thus we met up last Saturday to catch up in person while looking at all the lovely quilts, doing a little shopping at the vendors, and having lunch with her seven-year-old son who was unsurprisingly mostly not interested in either quilts or shopping but did seem to enjoy lunch. It was a great time, and I’m very glad Denise suggested it, because I’ve been so out of touch that I didn’t even realize the show was that weekend. There was a great variety of quilts, from small art quilts to large bed quilts, hand quilted and machine quilted, modern and traditional. 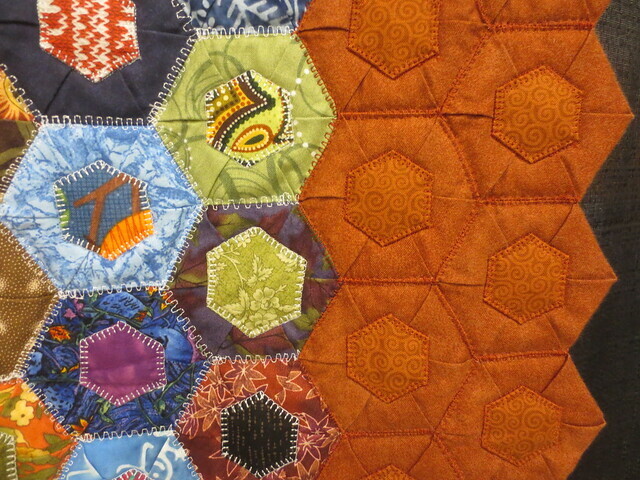 One of my favorites was Anything Goes, made and quilted by Mary Hogan, which was made up of so very many individual double-sided hexagons, the front sides of which has smaller hexagons appliqued on top of them. I admire all the work that went into it and loved that she used so many different colors and prints. I don’t know that I’ll ever tackle a project like this but I sure did enjoy looking at it. Here’s the first fabric I’ve bought in a very long time. I don’t pop into quilt shops on a regular basis anymore; the last one I remember being in was in Couer d’Alene last September. 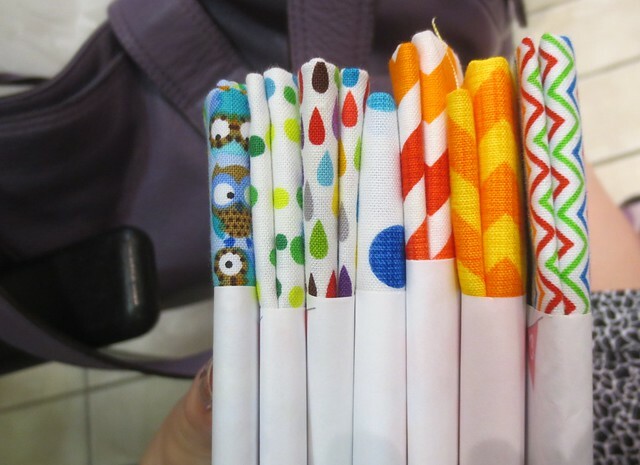 Old habits die hard, though; I appear to still be buying baby quilt fabric even though Purple Systems has long since grown too large for me to be close enough to all the parents of new babies and make quilts for them. 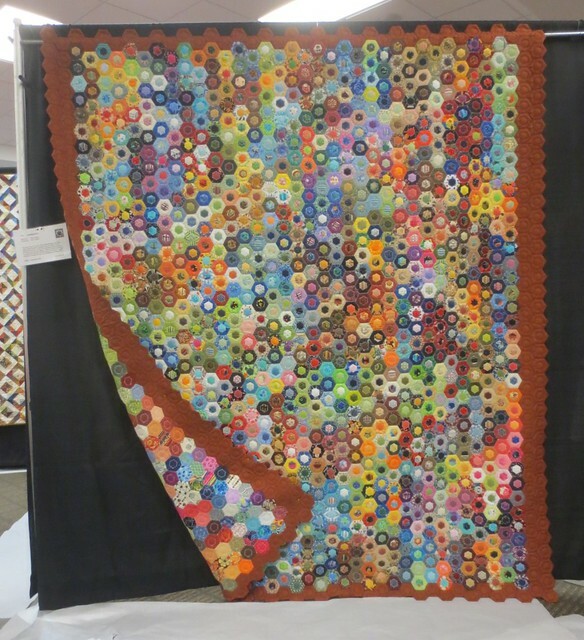 It was not lost on me that I dropped out of the very quild this show was presented by, that if I’d made time to keep going to meetings and making quilts, I could have had a pretty quilt of my own on display. Maybe I can make time for that, too, in addition to seeing local friends more often.